Kim is a very experienced Interior Designer specializing in high end residential and light commercial design projects. Kim and her team also specialize in providing essential design guidance and project management for client renovation projects, ensuring the right outcomes for these significant investments. Clients have a wide variety of choice as Salmon-Casson has a large, well equipped design studio and is a dealer for over 200 active, high quality furnishing lines – many for over two decades. Kim has a passion for finding new and interesting lines to keep her design fresh and evolving. 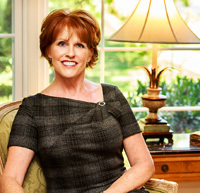 Bio: Kim Casson, ASID, holds an undergraduate degree in Interior Design from James Madison University. 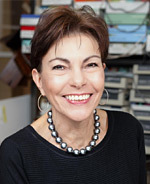 She has led Salmon-Casson, Ltd since 1988 and is a very experienced Interior Designer specializing in high end residential and light commercial design projects. Approach: Kim Casson’s designs live well, and they last. They evolve. They change with the client’s changing needs and lifestyle. Kim artfully combines and balances the timeless principles of good design. Through the interplay of light, color, shape, sound, and texture, Kim helps her clients transform their creative images and desires into their living spaces. Kim and her team also specialize in providing essential design guidance and project management for client renovation projects, ensuring the right outcomes for these significant investments. For over two decades Kim has worked with clients in the greater Washington DC area to design their homes -for not only the way they live, but for the way they wish to live. Gail has been a Business Manager with SCL since May 2015. She manages our back office, ensuring that it runs smoothly. This includes finance & accounting, human resources and inventory. Gail is the primary contact in the office and works closely with our vendors and sales representatives. Pam has been a Project Coordinator with SCL since 2012. As the Project Coordinator, she resolves customer service issues and assists in the various team projects. 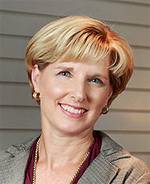 Pam has recently taken on the responsibility for SCL’s social marketing and media efforts.